#VegasCup Street Fighter V Season 1 Final Rankings. Watch the replay of the grand finals and a complete archive. Thanks for watching Gouki.tv. #VegasCup Street Fighter V #3 (4/9) Grand Finals MNO VS Isaac Perez - Ban Sim or Ban MNO? #VegasCup Street Fighter V Rankings. The next #VegasCup tournament is on April 23, 2016. 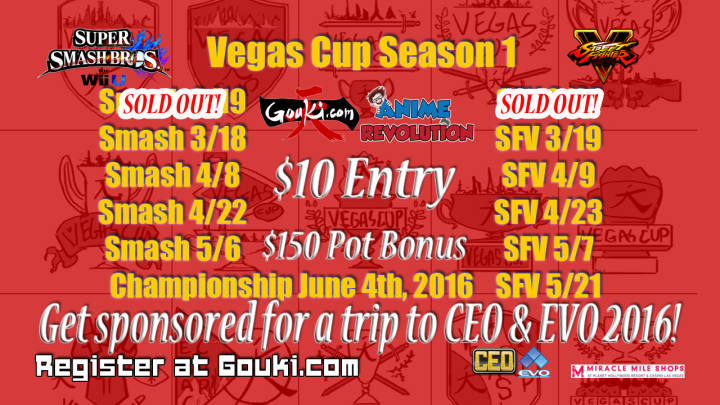 Thank you everyone who came out to #VegasCup on March 19th for Street Fighter V and thank you everyone who watching from home on Gouki.tv. Thank you everyone who came out to #VegasCup on March 18th for Smash Wii U and thank you everyone who watching from home on Gouki.tv. Current Street Fighter V #VegasCup Rankings. A monthly series hosted by Gouki.com at Anime Revolution in the Miracle Mile Shops at Planet Hollywood. Current rankings for the CEO and EVO sponsorship. Get ready to go to Orlando & Las Vegas, courtesy of Gouki.com & Anime Revolution. Any person is allowed to compete for this sponsorship. Sponsorships available for Street Fighter V & Super Smash Bros. Wii U. To be awarded a sponsorship, the player must sign a contract with Gouki.com. The contract will be different for every player depending on current sponsorship status & location. 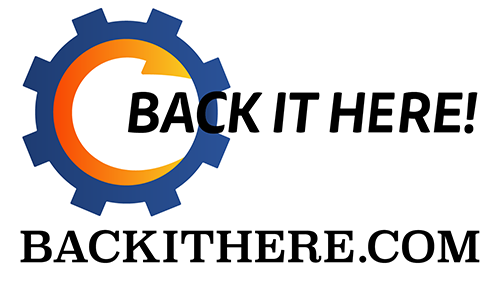 The sponsorship will include both tournament entry fees, flights & rooms.